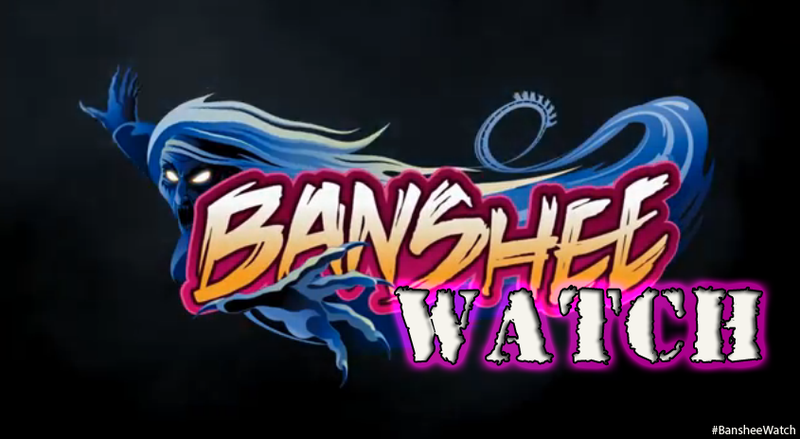 A new interview of Don Helbig, the Public Relations Manager for Kings Island has given up a few new bits of information about the new coaster, Banshee. Including a conformation that the building schedule is on track for completion in mid-January, Conformation that a gift-shop and photo area will be included under the raised station for Banshee, On-Ride Photos will be included with Banshee and that the park expects the coasters trains to arrive in February! Don also goes into lots of details about the 2014 Season at Kings Island, including some possible re-names and even more information about The Bat. 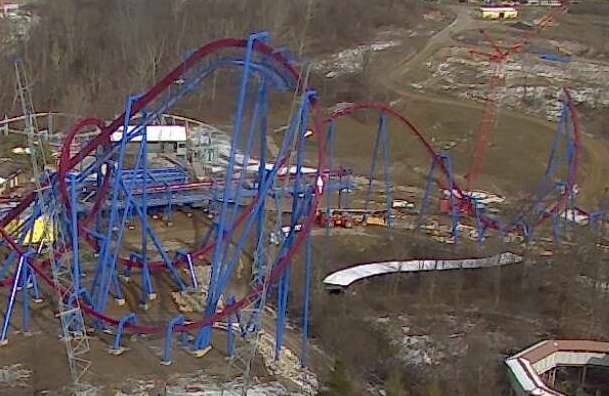 You can read the full interview over on "Don Speaks Live- KI Fansite"
Kings Island has also been posting up some construction photos of the new ride. In this image we can see the batwing section of the ride rising into the air. 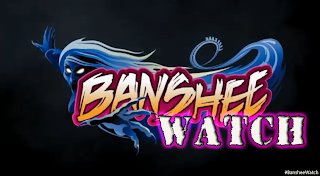 With the hint that Banshee will likely receive it's trains in February, I'd guess we can expect testing of the ride to begin shortly afterwards. Things are getting exciting over at Kings Island!